Community Service Learning is a form of experiential learning in which youth apply the subject matter they are learning along with critical thinking skills to address genuine community needs. When youth are involved in selecting and planning such efforts, and have structured time to reflect, talk, and write about the actual service activity they are performing the youth learn more, they become more confident about what they have learned, they improve in problem-solving ability, their leadership and social abilities improve, they take more enjoyment in the overall learning experience, they retain the subject matter longer, and they are more likely to volunteer to serve the community in the future. Community Service Learning can be performed individually, or as a group of varying sizes. (Source: CSREES-Beyond 4-H Community Service, 1997). Halloween is right around the corner. Want to find a way to get kids turned on to serving their communities? Invite Little Red Riding Hood, The Tin Man, Dorothy, and The Good Witch to visit a preschool and share the joy of reading. Last year, right about this time, I had the privilege to watch a high school 4-H club in Avoyelles interact with a preschool classroom. As part of their service learning program the high school club decided to focus on literacy and adopt a pre-k just down the road from their school. To my knowledge they visited multiple times during the school year. 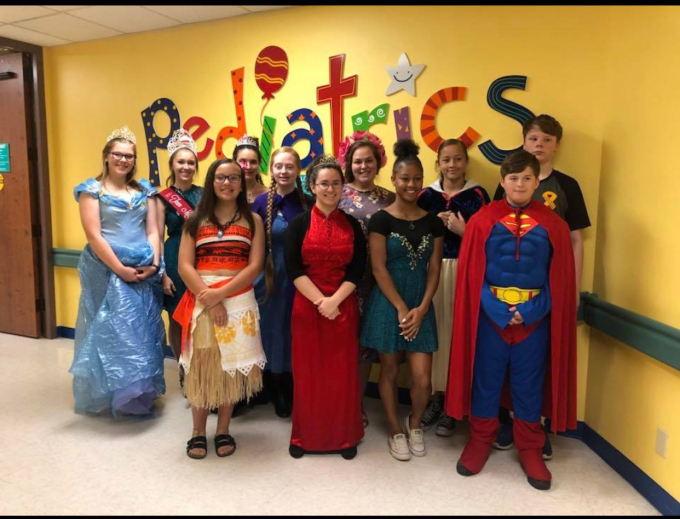 Allen Parish 4-H participated in the Louisiana 4-H state service learning opportunity to learn more about cancer and to spread a little superhero cheer by visiting a Pediatric ward at a hospital. The youth were exposed to careers in the medical field, showed compassion and empathy, and became more aware about cancer in their community. The first step in the Service Learning process "Why am I doing this?" or "Why am I learning this?" came into focus for all of these students. In Avoyelles, the "Why" is because the school system they are part of has a weakness in literacy across the parish. So these 4-H leaders decided to gain a deeper understanding of their community and the issue of low literacy rates and decided to focus on putting books into the hands of little ones. In Allen, the "Why" is because the 4-H Junior Leader club is part of a community where cancer rates are higher than most areas of the state. Maybe it's because of the Gulf Coast refineries, the watershed, their diet, the pollution from Gulf Coast industry. The youth are learning about the risks found in their environment and how individuals can make an impact. These discussions lead to responsibility and actions that citizens can take to insure a safer and cleaner climate. Service learning is a broad topic. 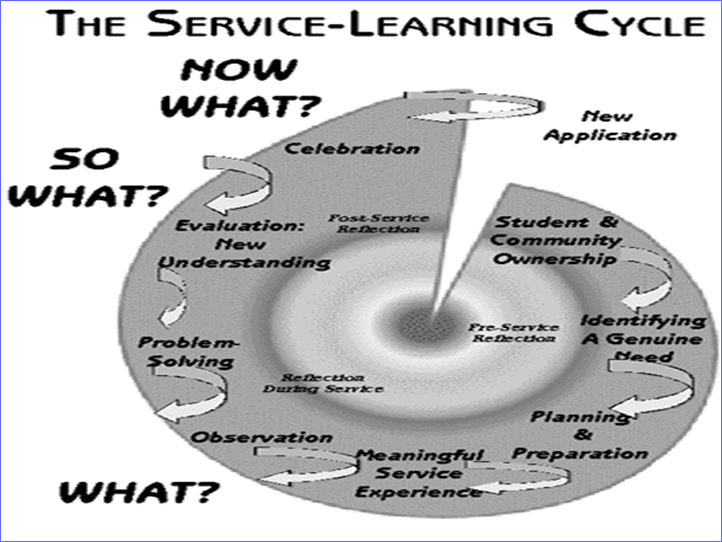 Check out the Service Learning Cycle below and try to model future programs based on the steps. Congratulations to both Allen and Avoyelles parishes for their involvement in their communities through their service learning programs.